Probably most people would think of Charles Darwin when the subject of evolution is brought up. 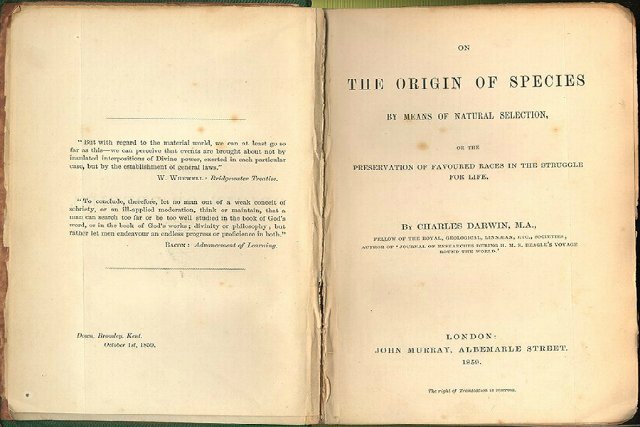 The problem of origins has been discussed for thousands of years, and it may come as a surprise to some that the doctrine of evolution is much older than Darwin. The roots of The Origin of Species go back over two thousand years, at least to the ancient Greek philosophers and some say further back and into the eastern religion of Hinduism. Is this true, and if it is, could it be proved plausible that Darwin and others before him drew from these ancient sources to construct the theory of evolution? Well, I’ve been doing a little reading and thought I’d do a series of blogs on what I’ve been finding out. My first few blogs will be the result of my studies, verifying the claims of a video I viewed HERE. Beginning with the 9th or 10th posting I will get into the more scientific claims of the theory. I hope to make this page an ongoing process–not necessarily unbroken, but as I read more, I’ll add more blog-posts when I am satisfied with the content. I welcome comments. I don’t know how well I’ll be able to reply to criticism, as I’m sure that there are more people out there who are better versed on this subject, and are better able to defend their collective point of view than I probably could defend mine. However, this doesn’t mean I wouldn’t enjoy reading what you may have to say, and perhaps discussing it with you in layman’s terms. Anyway, I welcome all readers and anyone who wishes to leave a comment or take the time to discuss these things with me are invited to do so. Comets-Indicators of a Young Universe? Are Life Forms Designed Poorly?